British Airways is reviewing its global digital advertising account, putting OgilvyOne on alert. A spokeswoman for British Airways, said: "We follow good procurement practices and it is standard for us to issue RFPs [requests for proposal] to ensure our business needs are met." OgilvyOne, which is the incumbent on the account, has said that it will re-pitch for the business. British Airways appointed OgilvyOne to its global digital advertising account in 2012. At the time, the win served to strengthen OgilvyOne’s relationship with the brand, since OgilvyOne already handled the airline’s customer engagement business. But OgilvyOne lost the customer engagement business in 2014 after an all-encompassing creative pitch, which ended with Bartle Bogle Hegarty retaining the advertising account and scooping the customer loyalty work by creating a dedicated CRM division, called 7 Seconds. 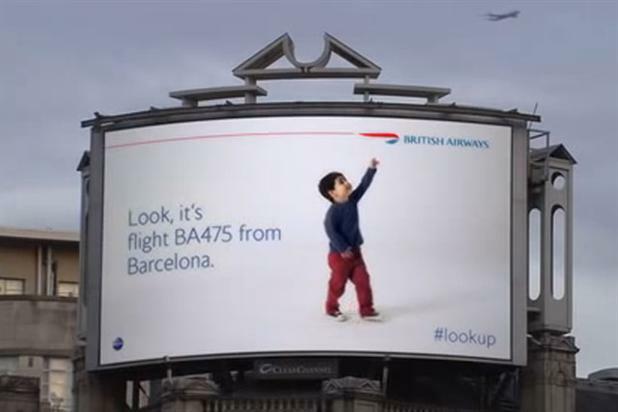 One of OgilvyOne’s most recent pieces of work for British Airways, "magic of flying," comprised a billboard that displayed information about planes flying overhead and won the Direct Grand Prix at the Cannes Lions International Festival of Creativity in 2014.